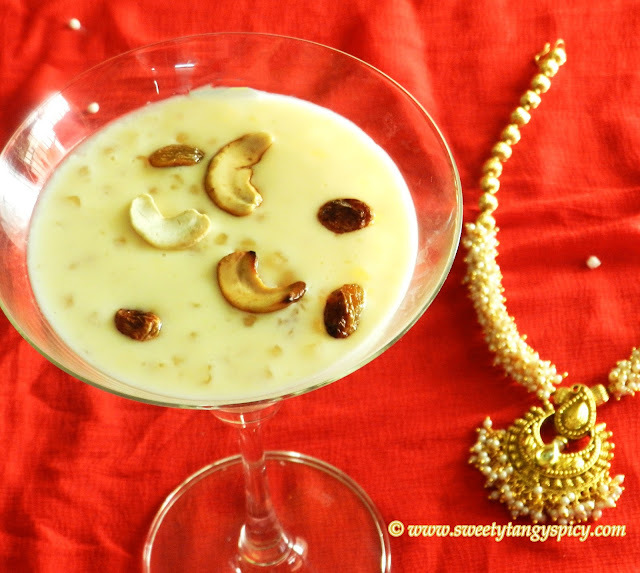 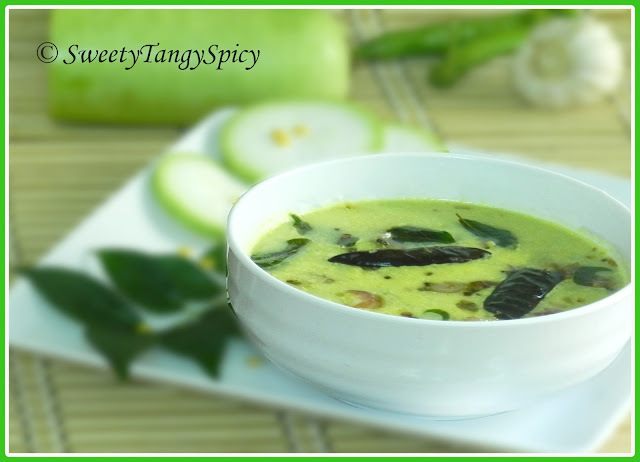 Bottle gourd-Bengal Gram Curry is a typical example of the Kerala style gravy with coconut paste. Bottle gourd pieces and Bengal gram cooked with coconut paste. Here I am posting the bottle gourd lentil curry with step by step photos. 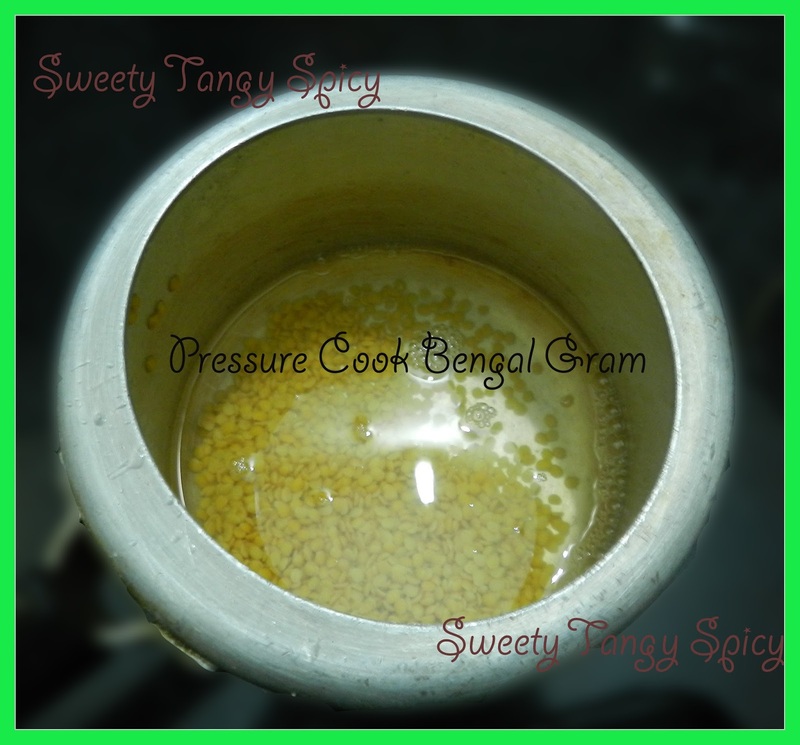 Cook half cup Bengal gram/dal in a pressure cooker with one cup of water, after first whistle, turn to medium flame, after two whistles switch off the stove, wait until the pressure goes completely. 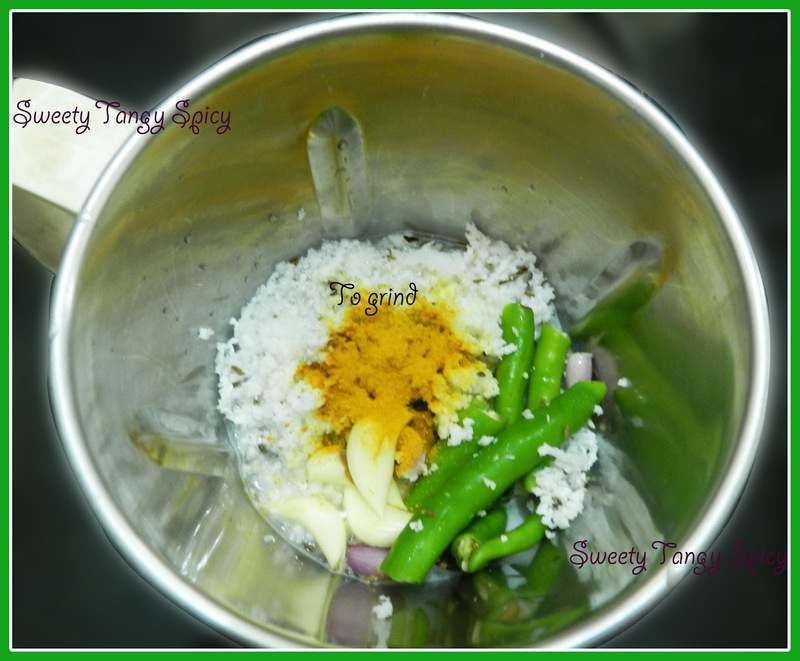 Mash it and keep aside. 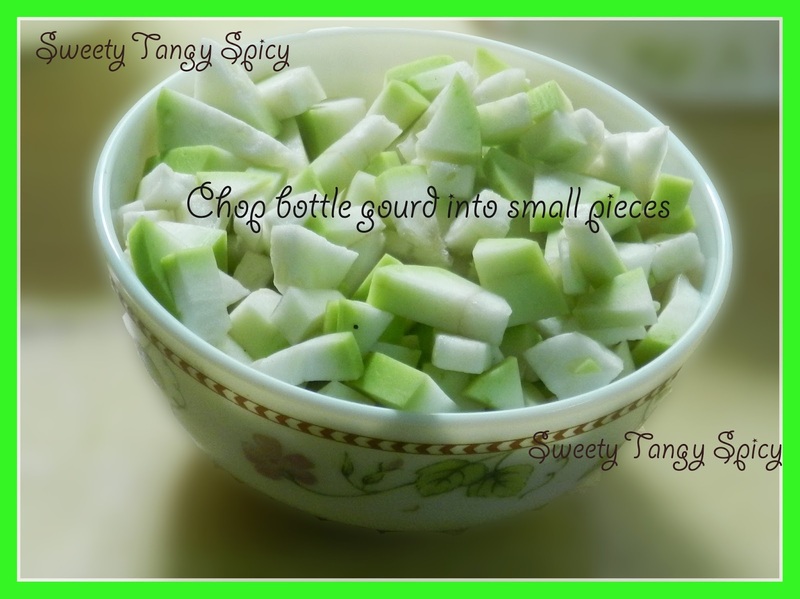 Wash and remove skin of bottle gourd, make small pieces and keep aside. 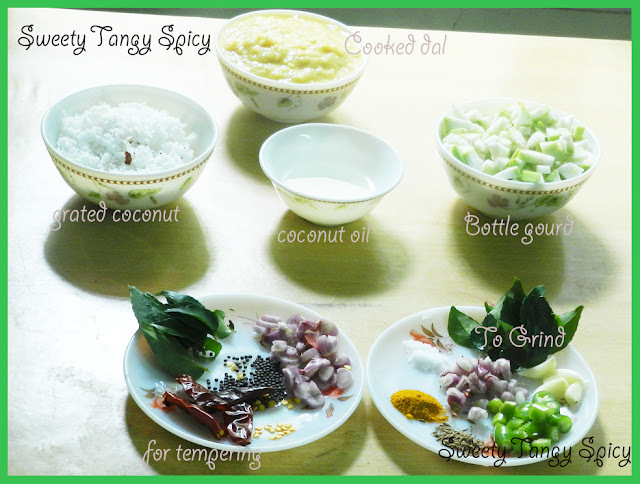 Take 3/4 cup coconut, four shallots, three to five garlic, three green chilies, four curry leaves and 1/2 teaspoon cumin seeds (jeera). 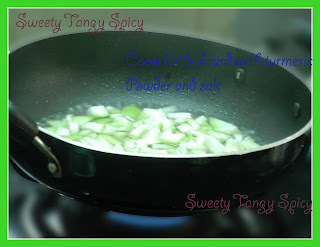 In a pan, cook the bottle gourd with 1/4 teaspoon turmeric powder, salt and ¾ cup of water. Cook covered. Mix the cooked bottle gourd with mashed dal and coconut paste. Do a taste test and add salt if needed. 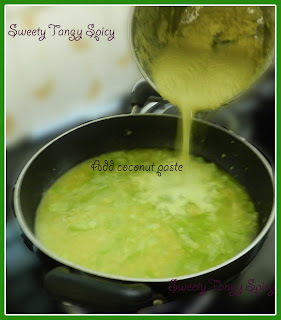 (If you want more gravy, add some more water at this stage.) 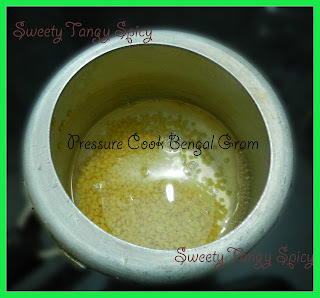 Let it boil for one minute. Switch off the stove. 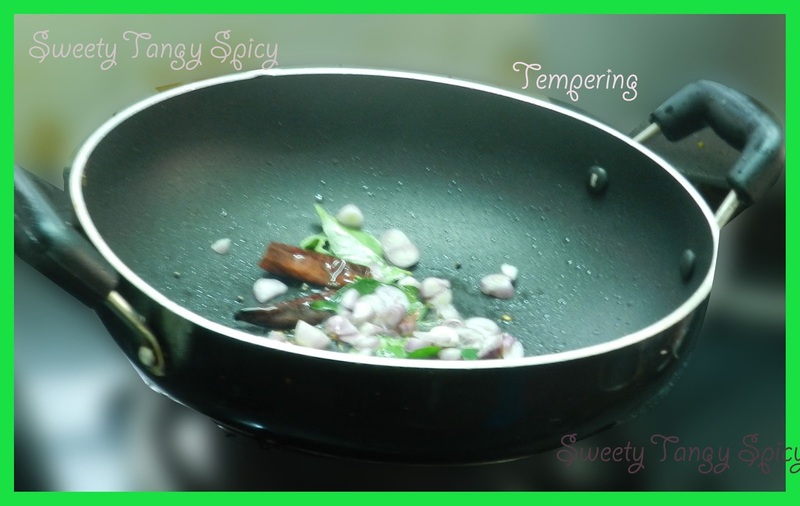 Heat 2 tablespoons of coconut oil in a pan, add ½ teaspoon mustard seeds, allow it to crackle, add curry leaves and chopped shallots, saute for a few minutes. Switch off the stove and pour into the curry. 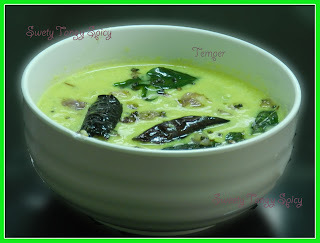 Finally, the bottle gourd Toor dal curry is ready to serve. 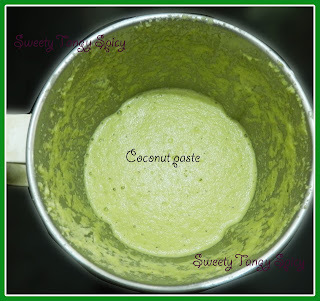 It goes well with steamed rice. 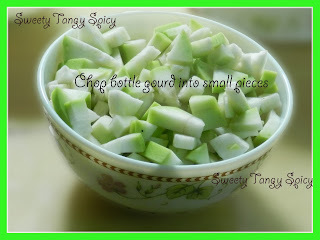 Cook dal and bottle gourd separately. 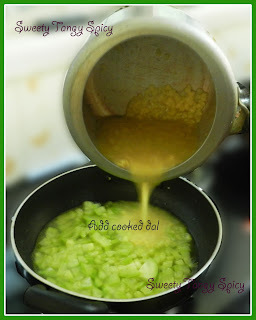 Don’t add too much water while cooking dal. 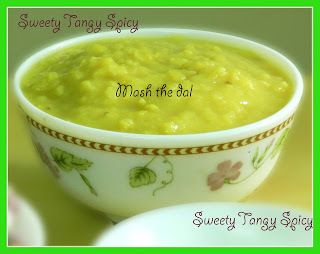 Mash dal before mixing with bottle gourd.